How do I navigate around on my iPad with the iOS 10 update? iOS 10 does away with the “swipe to unlock” action that used to be the main mechanism to get into iOS, and instead uses a press of the home button for that action. Many of you have a Maclocks enclosure which has a home button blocker, so the way in which you get into your iPad will change. There are 2 options on how to go about this. 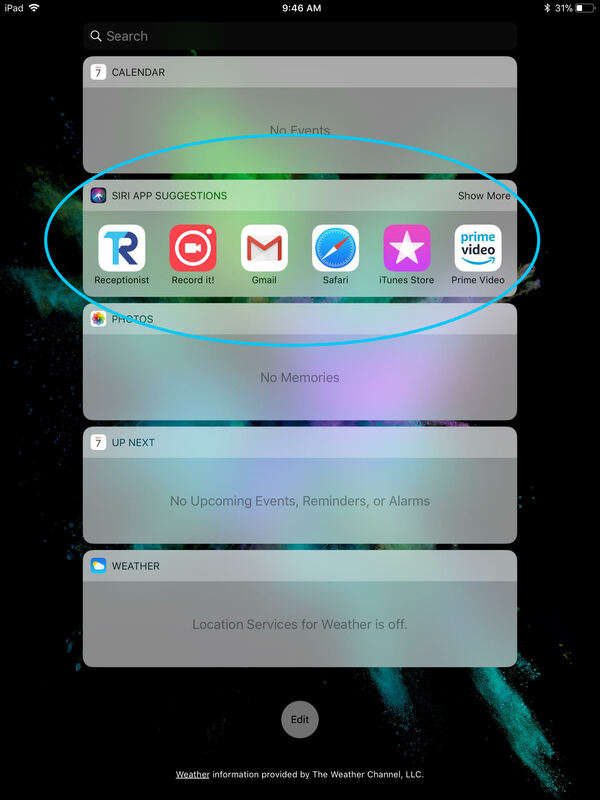 You can swipe over to the far left and open any of the apps listed under the “Siri App Suggestions.” After this you can perform a 5 finger pinch to go back to the home screen. You can use the tamper proof screwdriver included with your shipment to unscrew the back 4 screws, take the iPad out of the enclosure, and remove the flat button blocker. This allows you to press the home button, but will require you to set up Guided Access to keep visitors from exiting the app. You can read more about Guided Access and how to Enable it here.